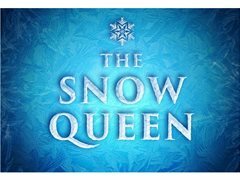 The Snow Queen is having a tryout in Cambridgeshire in April 2019. We are looking for triple threats (actors, dancers and singers) to join the production as main actors or ensemble, and we have a variety of roles available. There is an opportunity of contractually carrying on with the show after this run as it will be embarking on a UK tour at a later date. Rehearsal dates: 27th March - 11th April (excluding Sundays). Production dates: 12th - 14th April. A hopeful, brave young girl full of optimism and willpower on an adventure to save her best friend Kai. She is one of the show's main characters, and has a great sense of humour. Must be a confident solo singer in a musical theatre style. A kind young boy who gets struck with ice by The Snow Queen. She is a misunderstood "villain", who attempts to reconnect with her long-lost brother. We see her displayed as a softer character who tries to show her strong side. A comic role. Kristian is a thief who's accompanied by his best pal Bae, a reindeer. He turns out to have a heart of gold once you get to know him and he's a real 'softie'. Ensemble in 'The Snow Queen'. You'll be portraying many different roles on stage with great company dance routines. This role also includes speaking parts. Must be a confident dancer, and a good singer in a musical theatre style.